Most of the patients having suffered a stroke undergo a period of intense training in a rehabilitation clinic before they can return home. During therapy, they learn how to use paretic limbs in an optimal way enabling them to live independently with maximum freedom of movement. 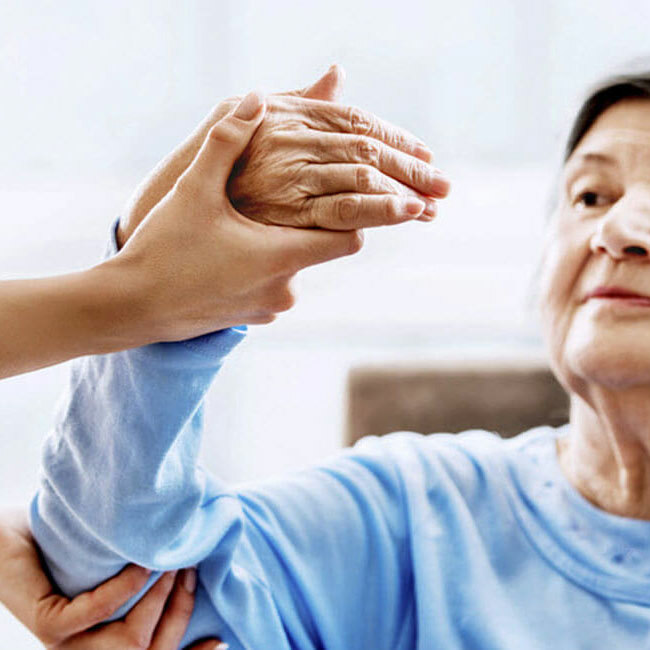 But when they come home, many patients stop moving the affected limbs the way they were trained to, causing a deterioration in their overall motor performance. This project is aimed at improving the long term results of therapy by detecting and preventing maladaptive strategies and non-use of paretic limbs in daily life by an unobtrusive wearable stroke therapy sensing and feedback system for patients to use at home. The researchers develop a small and unobtrusive sensing and feedback system patients can wear at home. This system should be able to measure for instance the amount and quality of movement of arms and legs, how much a patients walks, how often he or she is standing up straight, how much weight a patient puts on both of his legs, and if a patient is active or merely sitting in a chair all day. Furthermore, the system should also be able to provide useful feedback to increase and improve the use of the paretic limbs. The researchers will search for the minimal sensing modalities needed to derive useful metrics. An earlier developed sensing system, able to reconstruct full 3D body motion, is too extensive for daily use. The system resulting from this research project should fit into a shoe or a watch in order to be accepted by patients. Furthermore, attention will be paid to invent effective ways of giving feedback to the patient to induce optimization of motor performance in daily life. Eventually, the resulting sensing and biofeedback system will be validated with both twenty healthy volunteers and twenty stroke and Multiple Sclerosis patients.